If you are suffering from injured ligaments/muscles or herniated discs caused by playing sports, we can offer you all-natural pain treatments. Here at Askenas Chiropractic, Dr. Todd Askenas provides comprehensive sports injury treatment. He has helped sports injury sufferers for more than 25 years using chiropractic care and his extensive knowledge of the musculoskeletal system. Learn more about how Dr. Askenas’ use of chiropractic care to provide sports injury treatments in Pearl River, NY. A sports injury is anything caused by an extracurricular activity. It can include team sports, golfing, kayaking, walking, or even working out at the gym. Whether you are a weekend warrior or a professional athlete you can get injured when being active. When you are injured, you are likely to injure a muscle, ligament, or vertebrae. Along with these injuries, we typically encounter individuals suffering from muscle strains, ligament sprains, sciatica, headaches, and general inflammation. Fortunately each of these types of sports injuries can be effectively treated using chiropractic care. Specific sports injuries we commonly treat at Askenas Chiropractic include neck and back pain, radiating pain to the arm or leg, overuse and soft tissue damage. We also treat tennis or golfer’s elbow, along with rotator cuff injuries using Active Release Technique( ART). For example, if you have a herniated disc caused by a sudden impact while playing football, then you are going to suffer back pain. We provide natural back pain relief, as well as treatment for all sports injuries in Pearl River and Rockland County NY. When you visit your chiropractor for athletes to begin your sports injury treatment you will be fully evaluated to determine the best course of treatment that is specific for you.Many times realigning your spine and musculoskeletal system is the first step to healing your pains and injuries. You may also benefit from ART. This specific type of care is used to treat muscles, ligaments and tendons that are inflamed or have been injured. By restoring normal motion to these areas your pain is decreased and your overall function is greatly improved. For those in need of more advanced treatments, we also provide specialized sports injury services. Our sports-focused corrective exercises are key to improving your flexibility as well as developing strength and endurance to enable you to return to your sport better than before. Additionally, if you are a golfer we can help you get back on the course faster and better than ever. Dr. Todd Askenas is a member of the prestigious PGA Medical Staff and has considerable experience treating professional golfers. Now that you understand the benefits of going to a sports chiropractor in Rockland County NY, let us be that chiropractor. At Askenas Chiropractic we will help you recover from your sports injury without drugs or surgery. 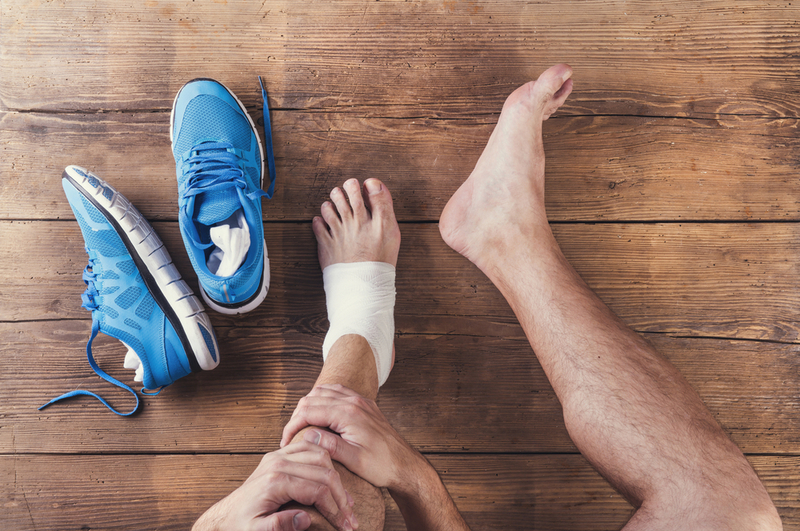 Whether you need to treat an old sports injury or a new trauma, we can help you. Contact our office at (845) 735-3737 to schedule your appointment with a chiropractor for athletes of all types. Improve your body-Improve your life!